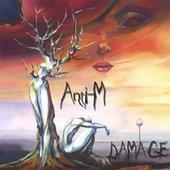 Anti-M's "Damage" is one of those CDs that will keep you guessing. As the album progresses, you'll hear sounds along the lines of the haunting Evanescence, the avant-garde crooning and song style of David Bowie, the digital sounds of Tangerine Dream, the guitar-heavy film scores of Goblin ... and many others. But it isn't the individual sounds you'll find so intoxicating, it's the combination thereof. It's to this band's credit that they work so well together, allowing the right particular talent to shine at the right time to make each song soar. And the musicianship throughout is amazing, from Barbara Moseley's ethereal voice to the nearly Satriani-esque guitar solos to the excellent, crystal clear production. Many tracks are perhaps a bit too mild for many Rough Edge readers but with 17 tracks to choose from, there's bound to be something on this CD that will grab your attention. Anti-M: Barbara Moseley - vocals, bass, drum programming, electric guitar, keyboard; Jon Moseley - guitars; Ruston Slager - keyboards, vocals, bass, programming; John "Wedge" Wardlaw - keyboards, loops, vocals, bass, dideridoo, slide guitar; Derek Poultney - drum programming and electronic drums. Special guests: Tim Landers - bass; Scott Wardlaw - bass. For more information, check out http://www.anti-m.com. Revised: 09 Apr 2017 12:09:59 -0400.